Product categories of Dust Collector Bag Cage, we are specialized manufacturers from China, Dust Collector Bag Cage, Industrial Dust Collector Bag Cage suppliers/factory, wholesale high-quality products of Dust Collector Bag Filter Cage R & D and manufacturing, we have the perfect after-sales service and technical support. Look forward to your cooperation! Our company's duster bag cage has flat bag cage, stainless steel bag cage, inserted dust bag cage, circular duster bag cage, spring (expansion) bag cage, galvanized dust bag cage, inner corner star bag cage, trapezoidal Dust Collector Bag Cage and so on. 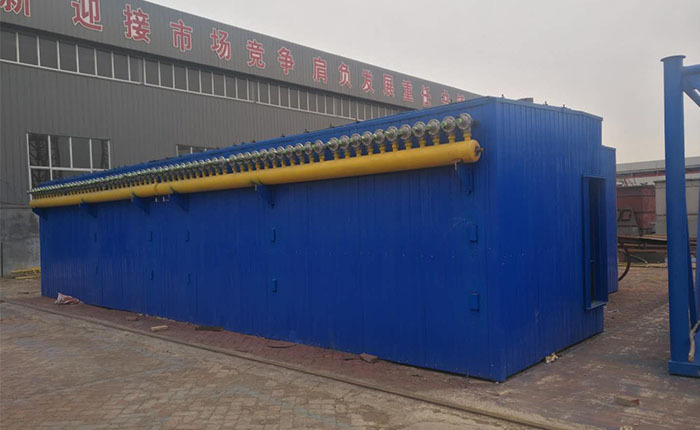 According to the difference of customer workshop condition, we can design the dust removal framework suitable for the field to meet the individual needs of different customers. The dust bag cage, also known as the dust removal frame, is one of the indispensable parts of the bag filter. It is the rib of the Dust Collecting Bag. It should be light and easy to install and maintain. The quality of the frame directly affects the filter state and the service life of the filter bag. The natural granite is machined into circular bending plates, and the overall structure is smooth and smooth. It has the characteristics of corrosion resistance, abrasion resistance and high temperature resistance. The exterior is poured with high strength, high temperature and acid and alkali resistant materials. The outer protective steel plate of the cylinder equipment has greatly enhanced the strength and service life of the equipment. The body uses a 1 meter structure per section, with concave and convex joints at each joint, and furan resin or acid alkali adhesive mud at the seaming to ensure that the connection is not leaky, and the common defects of the seeping and air leakage of the original granite dust collector are overcome. The upper sink is a ceramic structure. The ceramic dust remover ensures no water leakage in the water supply process. It avoids the setback of the water trough of the original granite duster and enhances the use effect of the dust collector. The installation is simple, generally 1 meters per section, and the installation can be completed at half a day, reducing the construction period. Dust bag cage is widely used in metallurgy, building materials, power generation, chemical industry, food, waste incinerator and other industries.